Bitcoin is now more than 8 years old. Though the number of merchants accepting bitcoins is increasing steadily, it is a little difficult for a normal user to quickly spend BTC on goods and services. If you find a merchant which accepts bitcoins directly, then all is well and good. If not, then you have to sell your BTCs yourself on an exchange, withdraw the fiat currency back to your bank account, and then spend it. But with the advent of Bitcoin debit cards, a few of these steps have been eliminated. The card companies do the exchanging part, and you just spend your BTCs freely. 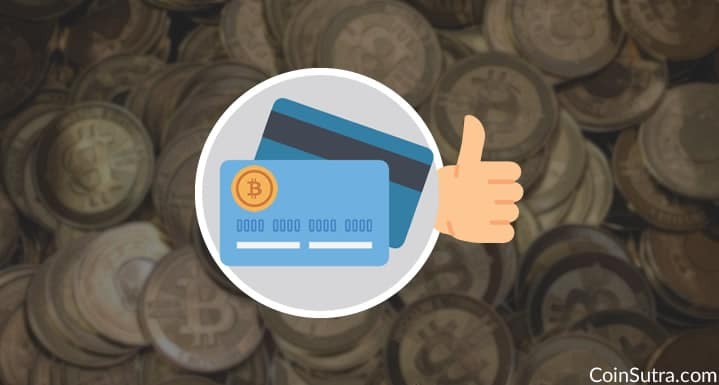 That’s why today we are going to discuss such Bitcoin debit cards services which allow you to spend your bitcoins easily, even if a merchant doesn’t accept bitcoins. Plus it provides 0.5% crypto cashback whenever you do in-store purchases. Also, it’s a debit card. Not pre-paid debit card. You also get an account number and sort code (just like a traditional bank) so you spend the money in your account with the card. Note: The GBP card is a Visa Debit Card and the EUR or USD cards are prepaid cards and service is available only for Europe and UK users. You are also free to use the Wirex app/wallet to send, receive, and control money worldwide. 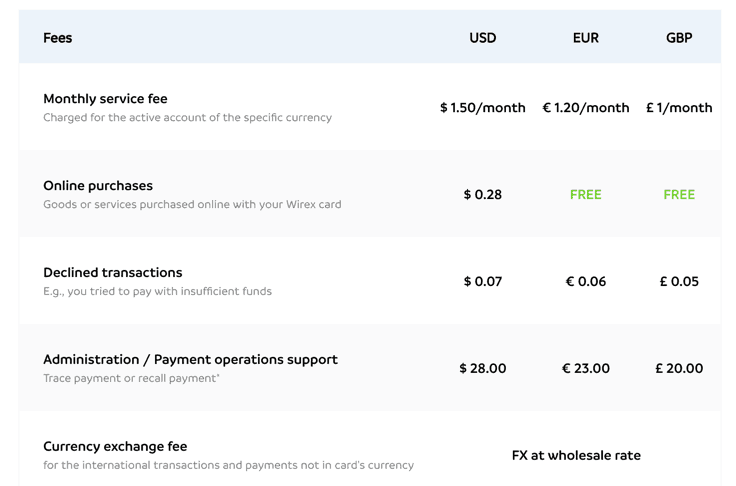 Note, that all standard fees are applicable to Wirex Bitcoin debit cards, and registration is not anonymous. Cryptopay was founded in October of 2013, and it is a wallet and payment platform where merchants and consumers can transact with each other. 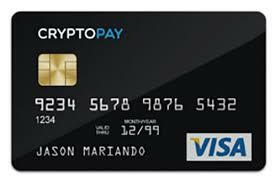 Cryptopay issues Bitcoin debit cards which are a low commission. They are delivered worldwide free of cost within 3-10 days. They are issued in both physical and virtual card forms. No ID verification is required to order your Cryptopay Bitcoin debit card, but it is not anonymous, as your name and email ID are required for registration. It is accepted anywhere Visa debit cards are accepted. 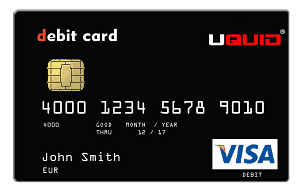 Uquid is a multi-cryptocurrency debit card issued by a UK-based company. It supports more than 40 cryptocurrencies (including Bitcoin). You can top-up your debit card using popular currencies like Bitcoin, Ethereum, Ripple, Litecoin, Monero, Dash, Augur, MaidSafeCoin, Steem, and Dogecoin. Your card is shipped free to 178 + countries with no extra fees. It reaches to you within 2-3 working days, which is faster than its peers. 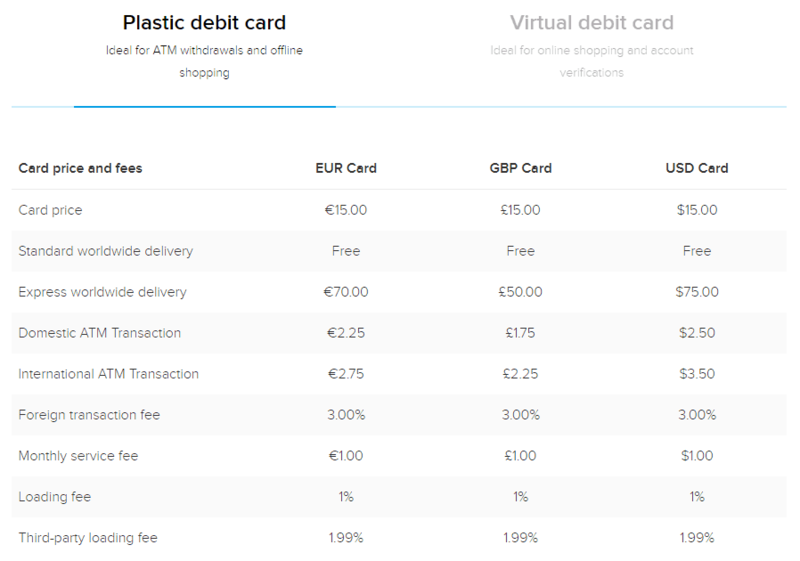 The card is available in both virtual and physical forms and provides you with the highest Bitcoin market price while converting your BTCs into GBP, EUR, or USD. 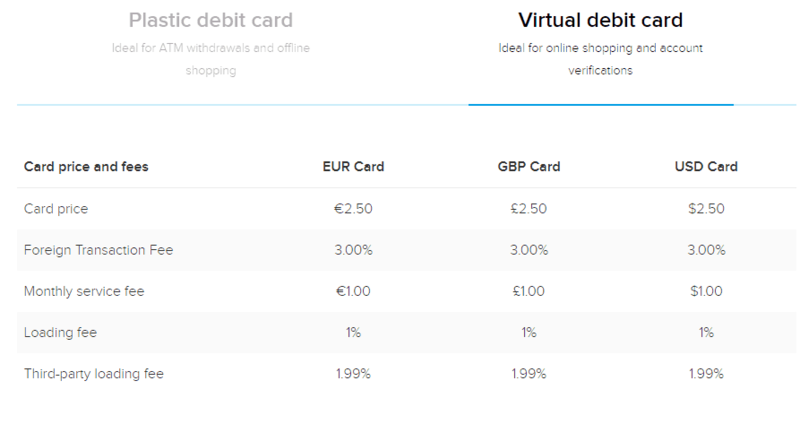 Which Bitcoin Debit Card To Choose? Nowadays, many financial startups are coming up with more and more crypto debit cards. So how do you decide the best for you among so many available options? Are they related to any scam or Ponzi scheme? Is the fee structure reasonable? Are their software wallets which interact with their cards free of bugs? Do they serve in your country? 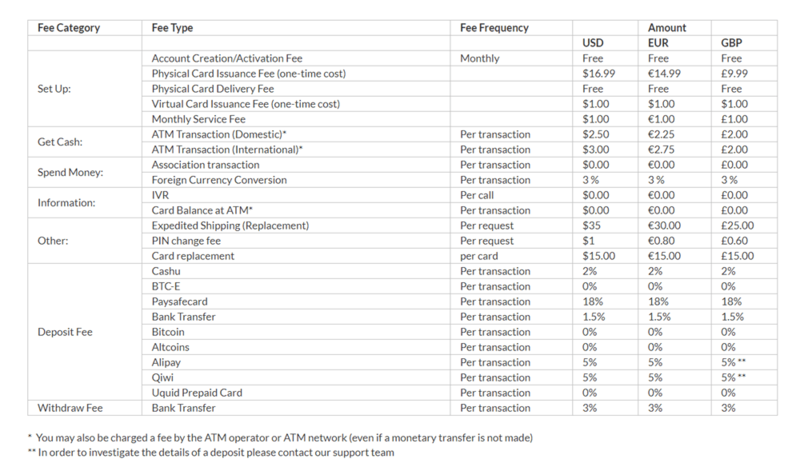 The ones we’ve listed here are all highly reputable and will provide you with great Bitcoin debit card service. But it’s always advised to do your due diligence. Now we would like to hear your experience of using Bitcoin debit cards. Which card are you using? Which card do you recommend? Do let us know in the comments section below! And if you found the post useful, do share it with your friends on Twitter & Facebook! The fees are lower too and I did not any payment problems so far. Will review SpectroCoin cards and add it. I noticed that none of the physical Debit cards listed above are available to residents of the U.S.? Yes, that’s their policy and some countries they don’t serve as well. As of October 15, 2017, any bitcoin debit card issued by Wave Crest will be deactivated outside the European region. Now, I’m scrambling for a new card as I am on Belize, Central America and there are no BTC machines available here and cash is still king. For many of us unbanked, bitcoin is a no-brainer to me. I’ve heard rumors MasterCard is going to offer a card, but I haven’t seen any offers yet. They’d better hurry!!! I find your article outdated. SpectroCoin, Xapo, Wirex and Uquid. I’ve been in touch with all of them and they are searching or in talks with new vendors to cover the rest of the world. Wirex will be offering a ‘contactless’ card, which means the merchant has to have a scanner to be used with a smartphone–not available on Belize yet. Uquid will not accept my US Passport to verify my account, but the other 3 have. I keep looking, but will be informed by the above companies as soon as a solution is found. Thank you I am looking to, there was one, but looks like it is based in germany and I’ve just looked it up and that is spectocoin so they are out too. Damn it. I woill let you know if I find anything. Thanks, Paul. I have looked at Uquid and Cryptopayme, same boat without any oars. 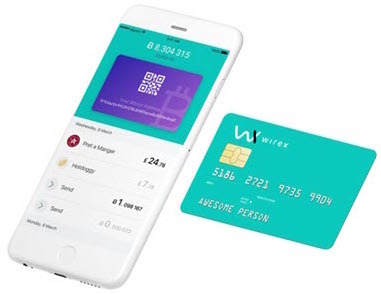 Wirex presented a webinar last week that they were taken by surprise and are working on a Contactless card, but nothing concrete yet. Many of us on the webinar voiced that we need a plastic card too, that the contactless won’t help us to withdraw from ATMs. All I know is they’re working on it. They are based in England and will be using wavecrest and therefore will shut down after 10th October outside EU. @KK Thanks will update this with more info. For now thisserves in Africa. i wouldn’t recommend UQUID to anyone really , they let you deposit money in their account only not to even be able to purchase a virtual debit card whatsoever , my money is still in my uquid account and i have nothing i can do with it except to recharge my mbile phone with the balance . find other btc debit cards providers elsewhere or get scammed . Where can I cash out Bitcoin, through debit or credit card? Well, anything for saudi arabia? These cards boasting worldwide delivery barely list 50 countries in their card delivery sections. Hi Sudhir! Do you plan to update the list for 2018? Especially considering the WaveCrest situation. Thanks! Uquid is currently not working unfortunately. Currently I have tried all of them and only wirex is legit, all the rest are still waiting to issue their card for some reasons. I have registered on all. Does Cryptopay still issue their debit cards to Australia, please? what bitcoin debit card card I use in Ghana.